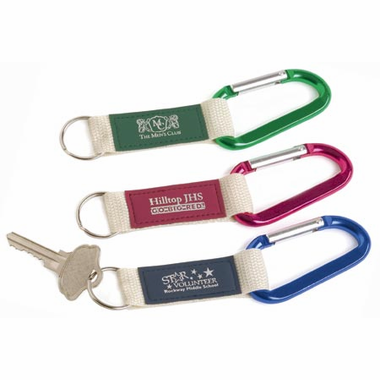 This personalized carabiner keyring is an item your guests will use long after your event. 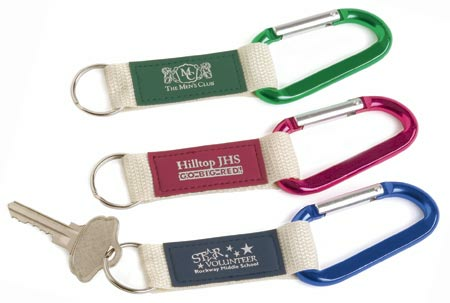 It is made of a suede style vinyl stitched to a coarse-weave light khaki nylon webbing. Personalization listing words only is FREE.